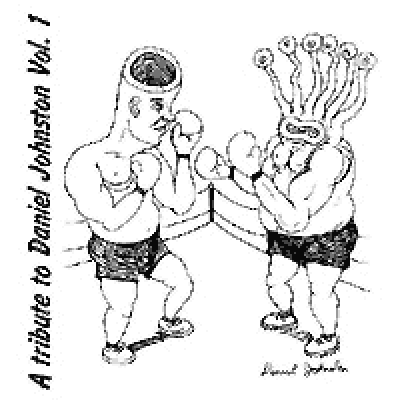 A different attempt to do a tribute in this case as a series of seven inch vinyl EPs. This is number one and includes the Televeision Personalities doing "Honey I sure miss you", The Bartlebees doing "Casper the friendly ghost", Wimp Factor 14 doing "Good morning you" and finally Hanshalf Trio doing "Cold hard world". 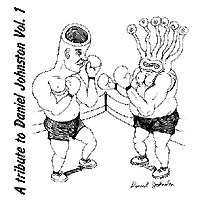 The EP features original black and white artwork by Daniel Johnston himself. A small supply of these EPs were made available to HiHowAreYou.com and are available while supplies last!